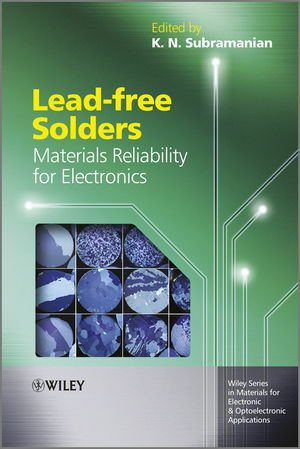 Presenting a comprehensive understanding of the current state of lead-free electronic interconnects research, this book approaches the ongoing research from fundamental, applied and manufacturing perspectives to provide a balanced view of the progress made and the requirements which still have to be met. K. N. Subramanian is Professor of Materials Science and Engineering at Michigan State University. He has been a full-time faculty member at MSU for over 45 years. For the last 15 years he has devoted all his research efforts to lead-free electronic solders.